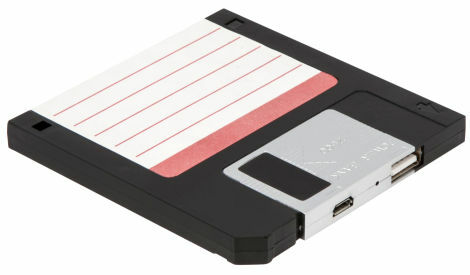 Even if you use computers on a regular basis, you probably haven’t seen a floppy disk in close to a decade. Their limited storage capacity is laughable by today’s standards, but that’s not to say floppy disks are completely useless yet. At least not if you cram one full of batteries. 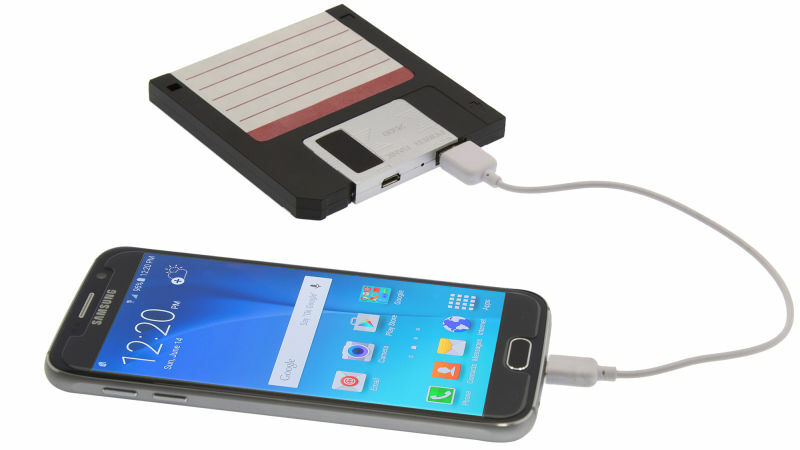 Instead of a thin piece of plastic covered in magnetic particles that can store a paltry 1.4 MB, inside this faux floppy disk, made by Thumbs Up UK, you’ll find a 2,500 mAh battery that can be used to recharge most smartphones at least a couple of times. On top you’ll find a microUSB port for charging the floppy disk itself, and an old-school USB port for connecting your device’s charging cable. There’s no pricing information just yet, but we’re really hoping they get sold in packs of ten like they were back in the day.